CMSE is delighted to have been awarded the European Sustainable Energy Award for Prisons project. The European sustainable energy award for prisons encourages intelligent use of energy in multi-residential buildings, specifically prisons. in the UK, Malta, Croatia, Latvia, Greece, Slovenia and Ireland. Prison sites consume a great deal of energy because of their size, building stock and constant usage pattern. energy as efficiently as possible. E-SEAP (European Sustainable Energy Award for Prisons) aims not only to address technical and practical energy issues to achieve savings but also; to raise awareness, increase skills and improve access to support. CMSE believe this is a great project and are delighted to be part of it. 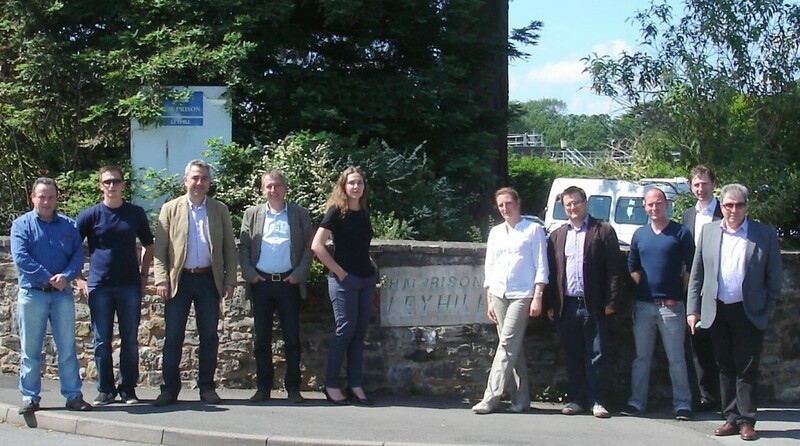 The project has been developed and is managed by Severn Wye Energy Agency, UK. SWEA (Severn Wye Energy Agency) is a strictly not for profit, registered charity and Chris Mee Safety Engineering are proud to be contributing partners on this project. As part of the E-SEAP project each participating prison will receive an award to show what level they are at. Awards will be leveled at bronze, silver and gold and will be internationally recognised to enable the scheme to be pioneered on a European level. E-SEAP is offered to prison services free of charge thanks to funding provided by the European Commission’s ‘IntelligentEnergyEurope’ programme. At present there are 14 participating prisons and there are approximately 800 prisons throughout Europe. This programme will not only save money in prisons but also give people the skills and knowledge to practice these cost effective techniques outside of this area also. Prison managers, staff and offenders will all receive training in order to show how vital this project is. It is envisaged that this training may then be passed on to these participants families and therefore will encourage them to become more energy efficient at home. This of course results in people saving money on their bills. The targets of this project are based upon the direct experience and achievements of the UK pilot which has been carried out. The pilot study consisted of 9 prisons in Wales and SW England. This study confirmed the value of working closely with the prison service to achieve a significant increase in energy awareness and energy savings. In the long term it is hoped that E-SEAP will become a model for energy saving that is referenced by institutions other than prisons in the development of their own strategies, e.g. hospitals, universities and military establishments.